Xiaomi finally announced the second generation of the line Mi Note. The new Mi Note 2 is therefore visible to all users, a smartphone with "dual edge" display that somehow is the answer to what Samsung has been doing for some years with the Galaxy Edge and particularly with the Galaxy S7. The Chinese company, despite the similarities, made a very strong commitment with this new Mi Note 2, not only having a dual curved screen, but also by a technical section that perfectly fits our idea of ​​what a high end device is. 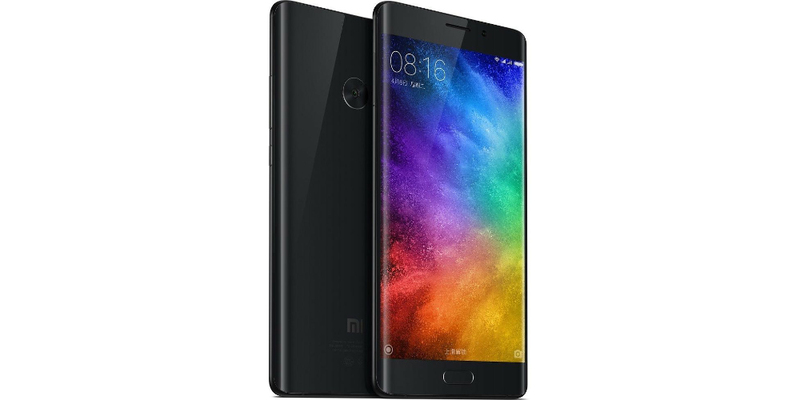 These are the technical specifications presented by Xiaomi: 5.7 inch OLED screen -two-sided dual curves- with QHD resolution (2560 x 1440 pixels), Snapdragon 821 processor (quad-core at 2.3 GHz) with Adreno 530 GPU, 4 or 6 GB of RAM LPDDR4, internal storage of 64 or 128 GB UFS 2.0, rear camera of 23 megapixels with Sony IMX318 sensor (f/2.0 aperture, LED Flash, PDAF and EIS) and front camera of 8 megapixels with Sony IMX268 sensor (f/2.0 aperture and autofocus), USB type C, Wi-Fi, NFC and GPS SAP, battery of 4070 mAh with Quick Charge 3.0 technology, ultrasonic sensor, Android 6.0.1 Marshmallow operating system and interface MIUI 8 to adjust the content to the defining aesthetic of the Xiaomi brand. The Xiaomi Mi Note 2 will have a price of $ 400 for the model with 4 GB of RAM and 64 GB of storage, $ 489 for the model with 6 GB of RAM and 128 GB of storage and $ 516 for the third and final version of 6 GB of RAM, 128 GB of internal memory, always talking based on overall prices worldwide. The Xiaomi Mi Note 2 has been designed to run with 37 frequency bands (no 4G exceptions) as well as to include support for 4G+ (up to 600 Mbps). Compatible with NFC services and high-fidelity sound 192kHz/24-bit. The body has an aluminum frame, the rear panel is made of glass and curves on the sides and in front, leading to an even thinner device than expected. It will be available in two different colors: Piano Black and Glacier Silver.